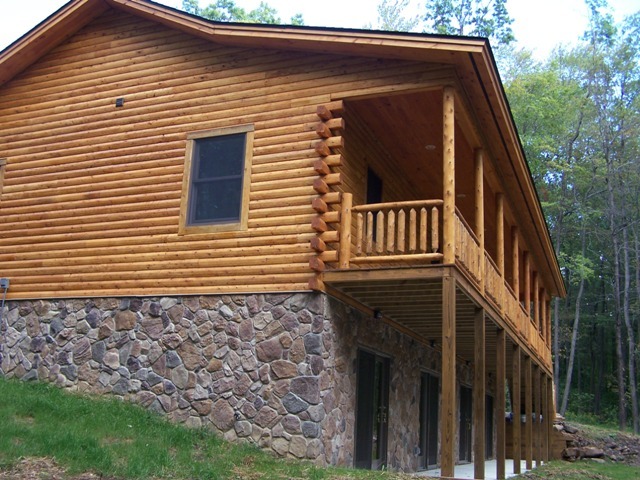 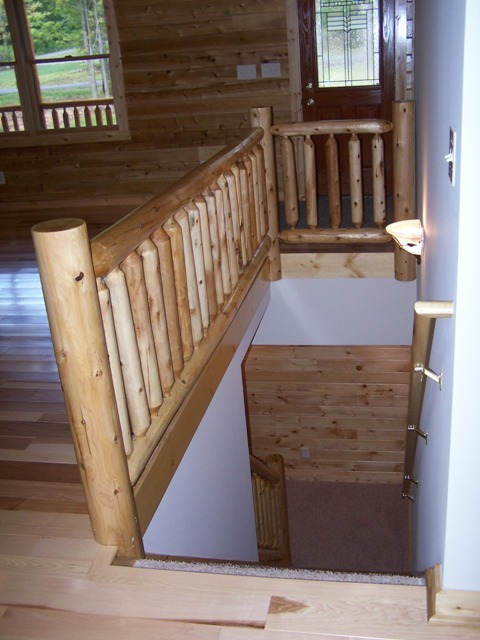 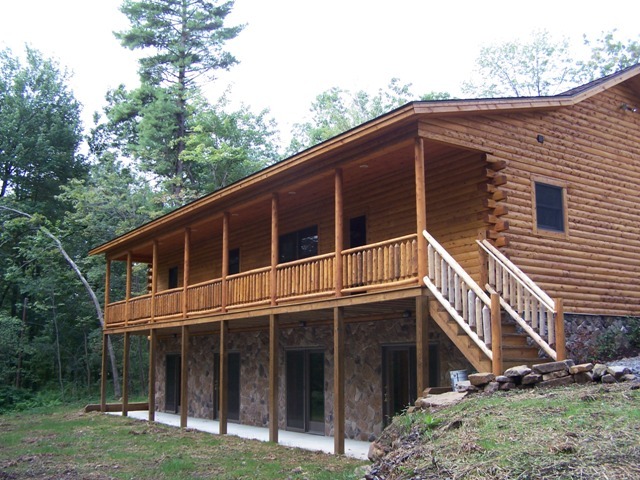 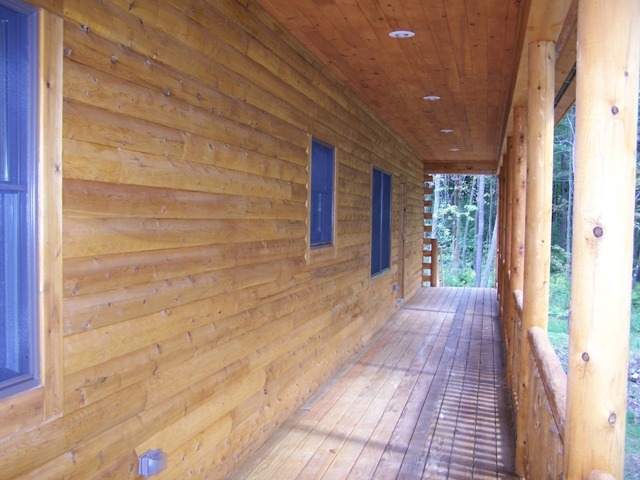 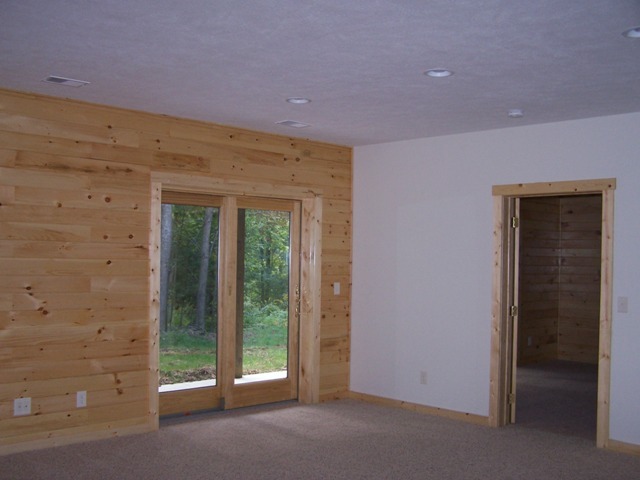 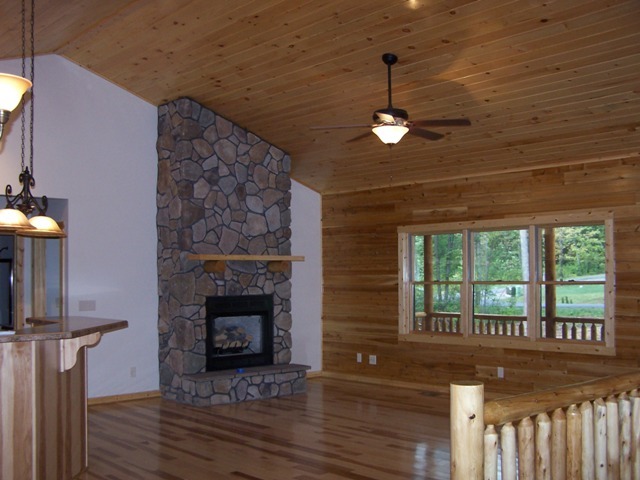 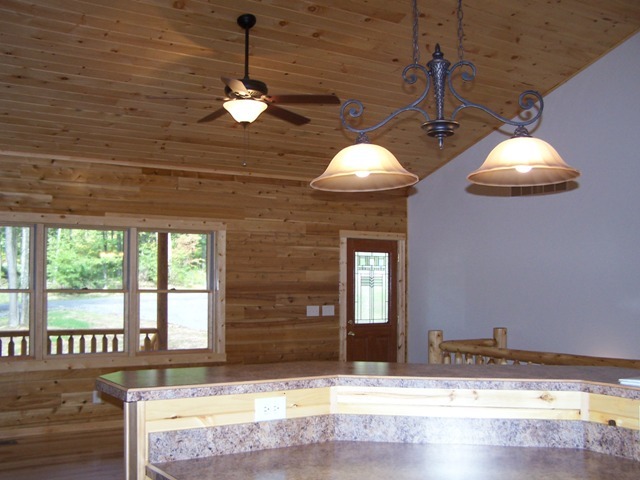 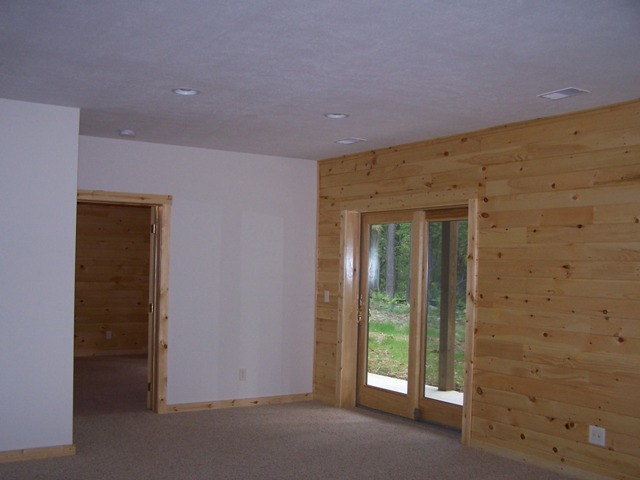 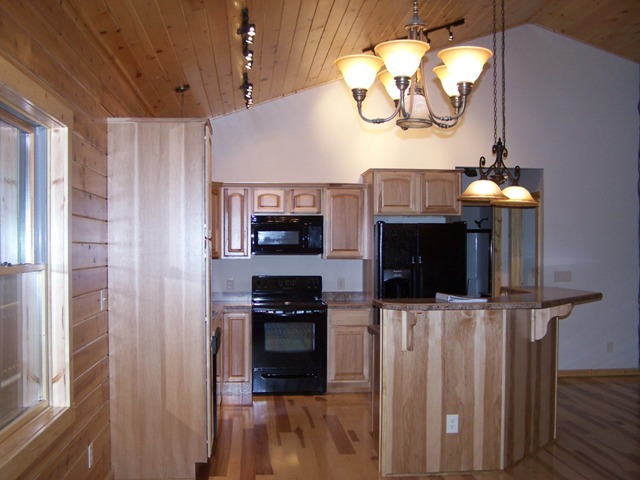 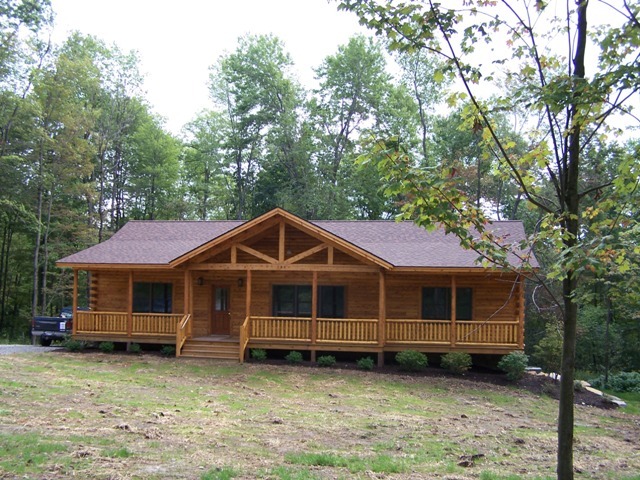 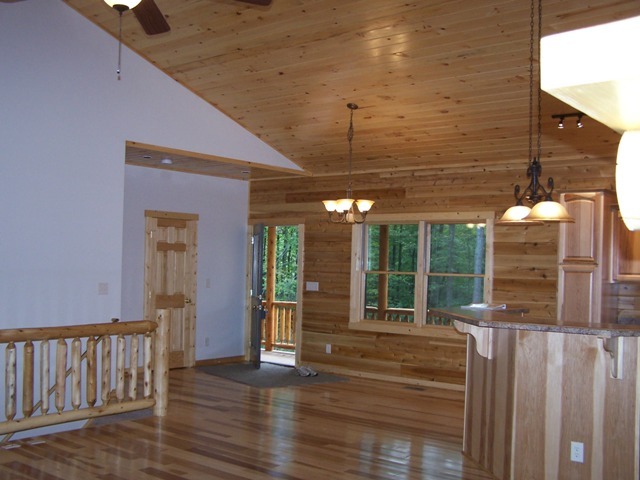 Project #MD08-3: This cedar log siding home was completed in September 2008. 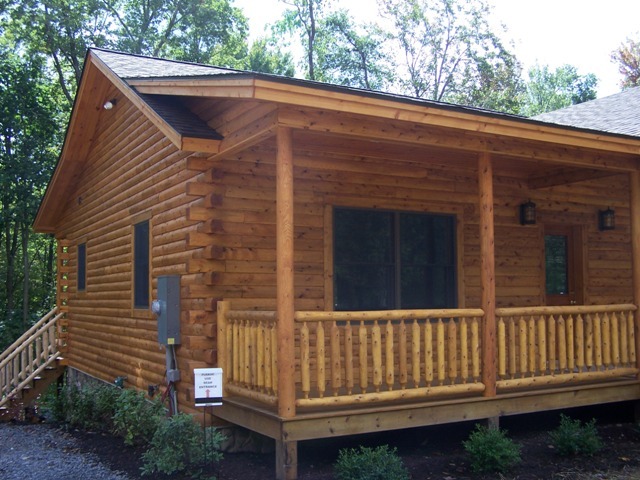 It is located in McHenry, Garrett County, MD. 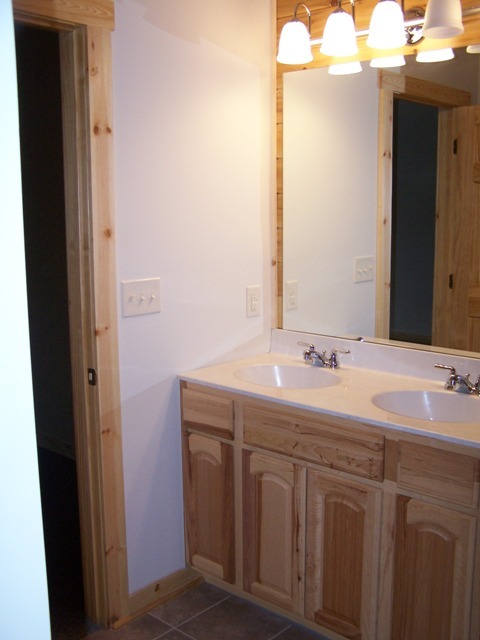 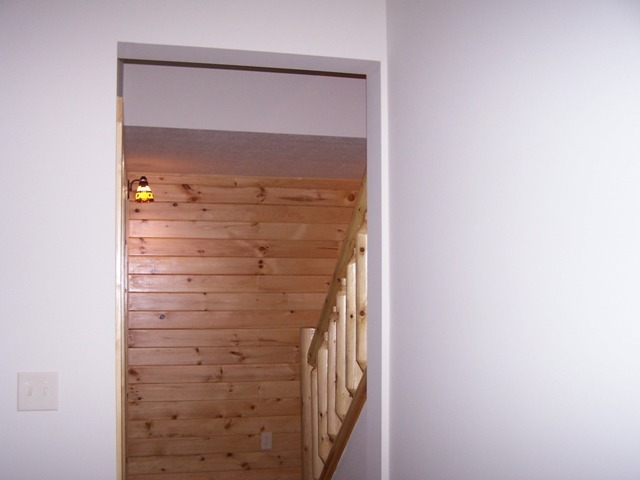 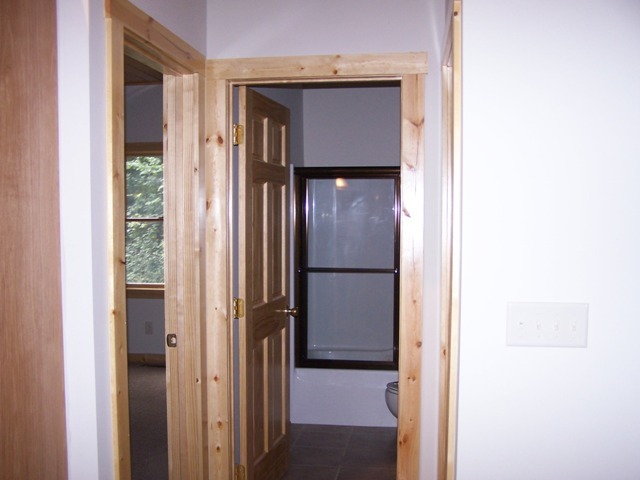 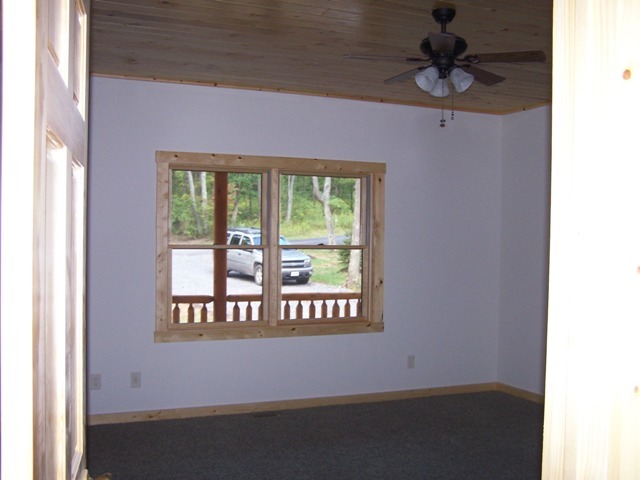 It is one level, with a finished basement, totaling 3100 sq ft of living space. 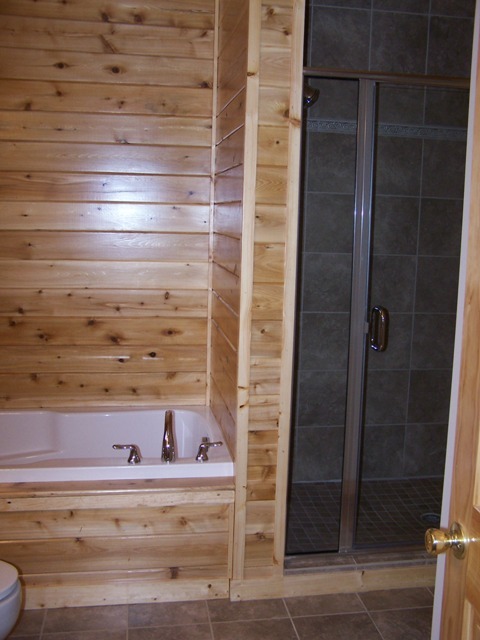 It has 3 master suites, and 2 additional bedrooms, for a total of 5 bedrooms and 4 1/2 baths. 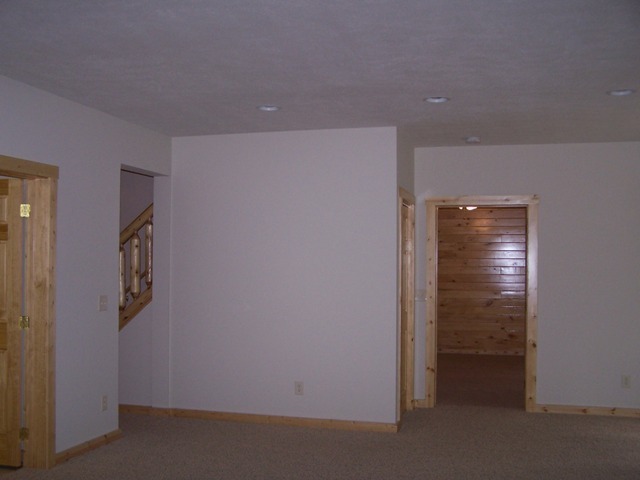 It also has a vaulted ceiling over the kitchen/dining room/great room areas, and a large recreation room in the basement. 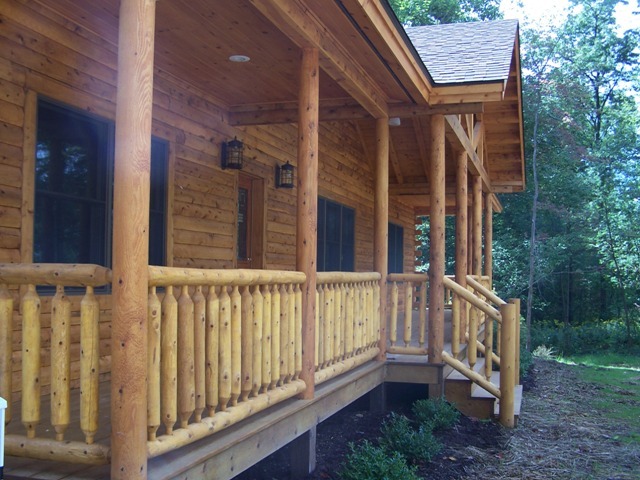 For listing information, see www.railey.com, GA6773404.